*All is new and forming and malleable. *There is nothing wrong with you. Many are observing and speaking out about the shifts of energies on the planet as we come to the end of the cosmic age. People see things breaking down, deadlocks, impasses in the old models and paradigms, the powers-that-be fighting a vicious fight for survival, deep disappointment in the institutions that purport to serve us and instead are serving only themselves. This is looking at the half empty glass. Meantime on the other side of the matrix, millions of lightworkers, members of the Turquoise Tribe, self-growth experts, are busy creating anew. We are the ones seeing and building on possibilities and potentialities. WE are the people bringing forth new stories, birthing new ways of working and playing together, renewing and rediscovering the richness of ancient paths of wisdom, community, contribution, and grace. New paths, many diverse yet congruent paths, are opening their way up and up the mountainside. From the shared “everyday,” we are scaling these peaks together and in new ways, many lamps lit along many pathways. All together, we are illuminating the way — FOR EACH OTHER. Here from within the heart of creation, ask yourself this question: What if you didn’t have to “attract” anything? Nothing. At. All. Why? Because with your deep and conscious Presence, (and the confidence to stand firmly grounded IN that Presence) the very act of waking up means that it’s all right there at your fingertips. It’s not about “Attracting” anymore. It’s about waking up and Allowing. Yes, the new, improved LOA is The Law of Allowing. It’s a matter of unlocking and opening the door, of shining your light of welcome, and inviting in the most perfect relationships for whatever is next for you. From the place of conscious awakening, you’ll realize that even the door itself is an illusion. That takes trust. And when you are in the cocoon, perhaps even still liquefying, how can you see clearly? 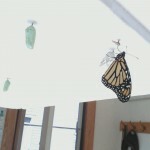 What is the message of transformation from within the chrysalis? Deep within, from the heart of the imaginal cells, the seed and blueprint of the butterfly lives in perfection. Even when the caterpillar is breaking down inside its protective chrysalis, the message of the existence of butterfly lives pure and true, even in the soup of seeming chaos. From this invisible world, inside the butterfly blueprint, what comes forth at the most perfect time IS the butterfly — breaking free, stretching and exercising its wings, as it emerges into the physical, manifest world. Many of us, and I include myself here, feel like we are in a soup of chaos and transformation — and that is on our good days. What if that is true? How do we move forward together, trust the unfolding, especially when that seems completely of new cloth, a new paradigm? For millenia, the Feminine Spirit has been abducted, spirited away from the public conversation. Patriarchy has been running the show. Now She — The Divine Feminine Spirit in Business, Healing, and the Heart of Creation — is back in this planetary eleventh hour. The Feminine Spirit in Business holds the blueprints for paradigm-changing awakenings in how we structure work, contribution, service, and bringing the divine and gifts to the clear channels for exchange. It’s resolutely NOT going to look like what came before. It starts with going inside first, going deep first. It starts with listening to the yearning and longing and allowing what is deeply true to emerge onto the page in your own words. Your first step in practical creation is making a safe space for your young inner parts to speak their truth to you — without your judging-self stopping the flow. Your emergence is longing for you to be present! I’ve been called a “vision midwife.” Partnering with the Feminine Spirit in Business means co-creating from a planetary and cosmic space that has never before been accessible. 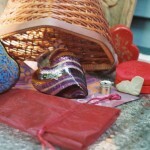 Recently I received a direct message from the Divine Feminine Spirit in Business and asking me to share. “Language is key to manifesting,” she said, “and it’s one of the primary limitations for those bringing their vision into form.” That’s where I support women visionaries and co-create safe spaces for growth and expression inn partnership with the Feminine Spirit in Business. All our rich contributions and gifts are so needed at this crucial time — especially the hidden and secret messages! So step into the circle and become one of the Conscious Co-Creators. For that, you may indeed want to consciously “Own Your Greatness.” There’s a proven path to follow to strengthen yourself as you emerge from your cocoon. For your own personal access to a no-charge “Safe Space” Playbook/workbook for “Owning Your Greatness,” for downloading your yearnings and really listening to your own inner messages, please sign up at the top of the right-hand column! Just enter your name and email at the top of the sidebar on the right side of the page. You’ll receive a link to download your personal guide to owning your greatness — in words. You’ll receive uncommon support in emerging from your own chrysalis as the beautiful butterfly that you are! Own Your Greatness. Claim the name of your being and purpose. Why you are here. Your gifts. Your vision. Your greatness. Maybe it’s sleeping or lying dormant. And the way to claim it is in the name of love. Wake it up. Wake up the power and capability sleeping within. Claim your name. It is time for Owning Your Greatness. Do whatever it is at the root of your being with great love and care. Do it with love for the words you use in the creation and about and around the creation. Do it with love for the backstory behind the creation. Do it out of love for the challenge you address. Love the problems you solve, because those “problems, issues or challenges” are the gifts that have tested you through the fire to create the person you are today. And love the solutions and answers and suggestions and approaches you can offer to others out of the fire of your own experience. Of course you do it out of love and care and compassion for the people in your circle and community, the ones who can only hear it from you. You love your peeps! They are the reason you do all that you do. Awaken yourself. Claim your own true self that emerges from your deepest love and compassion. Your Time to Bloom: Tomar Levine has a gracious online home at this link. Her voice is gentle and her toolbox is extensive. It’s especially yummy for those with creative yearnings who feel they haven’t lived into their fullness — yet. I’ve latched onto Tomar’s simple phrase that is so rich in reverberations. It sounds more grounded and less grandiose than “Owning Your Greatness.” But it tills much the same ground. Both frame a way of Being that taps into life purpose, into the reason why we are here. They speak to the ongoing process of giving our gifts, of manifesting and embodying the service we are here to do with the people we are meant to help, the contribution that our creation is meant to make. Whether you approach it in a matter-of-fact way (“Focus on what is mine to do.”) or in an expansive and out-there “Owning Your Greatness” sort of way, the bottom line is to generate from the root of our Being the tasks of Doing in the world. Being comes first, the foundation. Then the doing, the action. In fact, you might consider that the opposite is true. I acknowledge Tomar for the inspiration that started this post. And thanks also for this 30 Day Blog Challenge. It is helping me show up, take action, be on the page, as I build the bridge for myself and my tribe. Embrace the heart and soul of your Vision. Sometimes it’s like trying to get your arms around an elephant. It’s impossible. It’s too big. You’ll get trampled. It hurts. A million reasons to not embrace the big vision that unfolds along with the purpose for why you are here. To embrace the vision, we have to own the bigness and greatness of ourselves, to stand in owning our gifts and greatness AND the greatness of the project we are here to create. We have to be strong enough, big enough, flexible and adaptable enough to be able to open our hearts and wrap our arms around the big vision. Hug it. Cherish it. Encircle and enclose it. Welcome it. Call it forth into the greater whole of our lives. It lives inside as the gift of our expression we are meant to bring out into the world as our service to our people. It’s important to embrace these three elements that make up the vision, so as not fail it or yourself or your greater purpose. First, you need to create the thing, the creation –the “art” as Seth Godin would call it in Linchpin: Are You Indispensable?. That is, the business, the painting, the writing, the project, the novel, the web site, the passion for service however it plays out in your world. Your need and desire to create it? Driven by love, a profound love for the project. Second, you need to be willing to share the creation, to find a way to communicate the essence of what you have created. It’s the message of the creation, the ways that it can transform the lives of the people you have created it for. This second step is the bridge between what you create and the people it is meant to serve. It means sharing the story of the creation. It means loving the telling of the project’s story. We have been taught, in every situation, to play small. We’ve been admonished — from the time we were great spirits inhabiting small bodies — not to be “too big fer yer britches.” I officially deem it’s time to bust the seams on those too small britches. You are WAY too big to play small. Your project, creation, and message are far too important to the people you came here to serve, the people who need to hear it from you. Britches be damned. Go ahead. Hug the elephant. Post 23 in the 30 day blogging challenge, #blog30 on Twitter.